It’s raining at home. 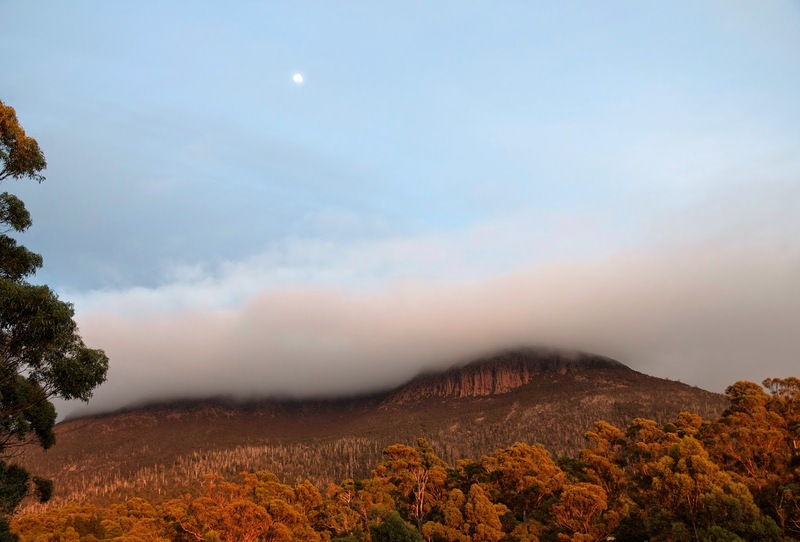 Where the mountain should be there’s a ragged cloud, a dishevelled doona pulled up around a chilly summit. Perversely, it has me thinking about walking. Mountains always do that, even when they’re trying to sleep. But today I’m also thinking about history, and Hobart’s history in particular, because kunanyi/Mt Wellington plays a big part in that. After a short-lived and fraught experiment on the eastern shore of the Derwent River, Hobart was founded in 1804 on the opposite shore, near its current town centre. Water reliability was the principal reason for that early move. And that in turn was encouraged by the regularity of the rain – and sometimes snow – that fall on the flanks of the mountain. 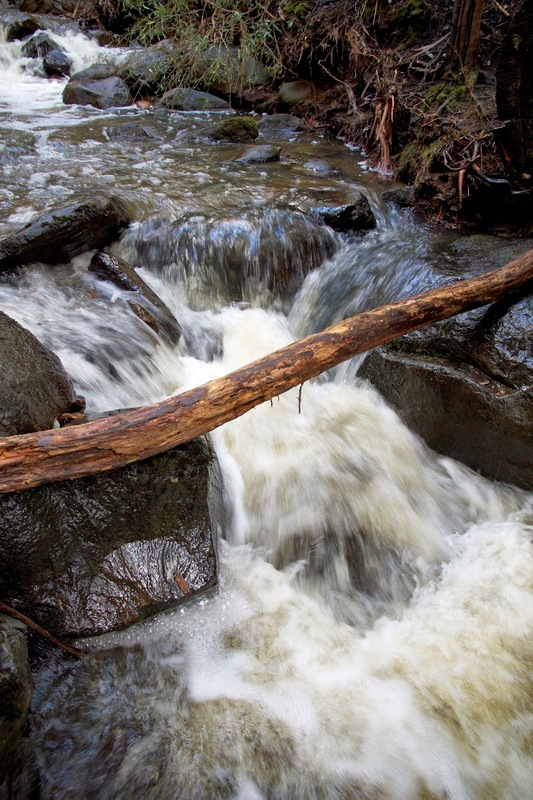 A good proportion of what falls there ends up in the Hobart Rivulet. At less than 10km it is too short to be called a river. Still it proved a reliable and constant source of fresh water for the port of Hobartown. In my 28 years living alongside it I have never known it to stop flowing. 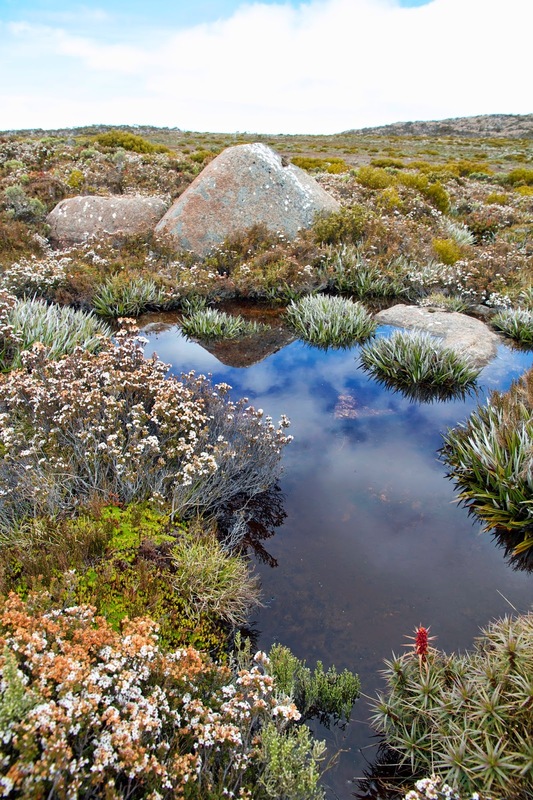 ‘Though its lower reaches are now piped and tunnelled, and outflows from stormwater drains, factories and the city’s tip mingle with mountain-fresh water, the Rivulet’s upper waters are still used in Hobart’s renowned Cascade beverages. “Out of the wilderness” its beer advertisements once spruiked. We locals smiled at the exaggeration, yet were still proud of our city’s proximity to relatively wild places. How many other capital cities have ready access to such wildness? Most work days I walk down that valley, close by the rivulet, “out of the wilderness” and into the city. Truth be told, I often yearn to be going the other way, towards the wild. So one day I decide to do just that. 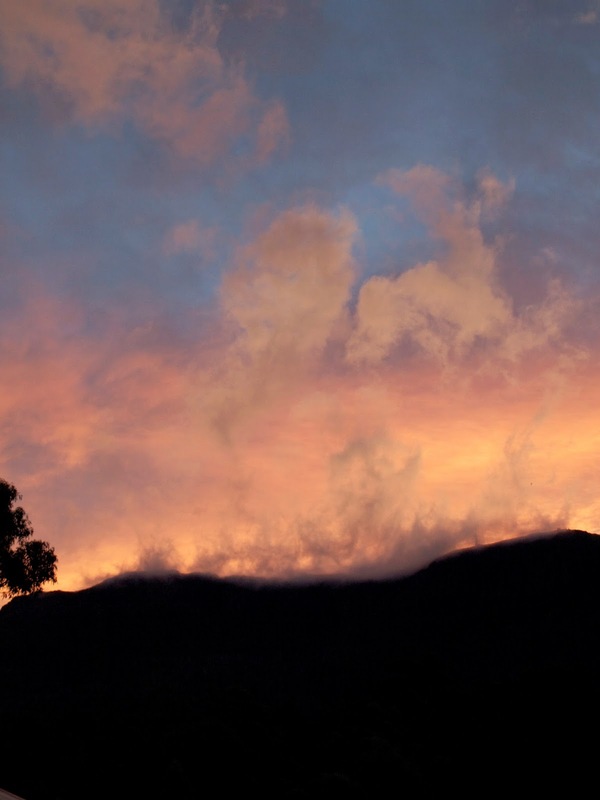 I will start from the comforts of a favourite Hobart café, and walk upstream to kunanyi’s windswept 1271m summit. While it’s hardly an expedition – there are tracks all the way, and it’ll be done in a day – it does require that I gain more than 1200m in altitude. So there will be sweat and effort required. But the more I plan, the more I come to see how much of that effort will be mental. Because the walk will involve transecting a slice of Hobart’s natural and social story, I will need to be alert not only to what IS, but also to what WAS. That makes it a symbolic journey: a kind of local pilgrimage to places with significant stories, human and non-human, past and present. I want this to be a series not because it is a long walk, but more because it promises to be an involved walk. It won't be just an A to B bushwalk. Perhaps no bushwalk ever should be.